All Silver-based antimicrobial products are not the same. Most manufacturers of cellular silver dodge the subject of actual efficacy, spending time and focus explaining their "high tech" manufacturing process, debating particle size, particle energy, color of fluid etc. Proven product performance, i.e. safety and efficacy are truly where the rubber meets the road. ACS 200 provides proven bacterial kill time and FDA protocol toxicology studies from certified independent 3rd party labs. Formulated for health care practitioners exclusively, Results RNA? 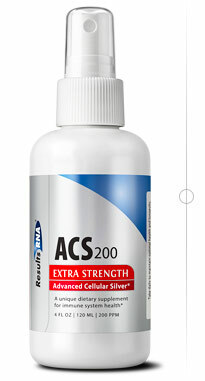 ACS 200 is the most carefully researched and scientifically tested medical grade cellular silver formula available today. As shown from independently derived studies, ACS 200 has been proven capable of rapidly killing an enormous array of disease causing organisms ? literally oxidizing the cell wall of gram positive and gram negative bacteria as well as naked virus and fungus, and all without damaging human tissue.